Knack is a great place to store all of your data in a powerful online database. The problem is your data isn’t doing any good just sitting there. The next step is to unlock that data so it’s useful in building your business. This happens in the live application, where Knack gives you easy tools to share, analyze, and manage your data. What is the Live App? Think of the Live App as a website designed for your users to interact with the data you share with them. Any website will have several pages like a home page or contact page, and each page will have different elements like forms, images, and navigation menus. In this example there are two pages, the home page with the list of customers, and the child page with the specific customer and their orders. Check out this guide for ideas and inspiration for your Live App. 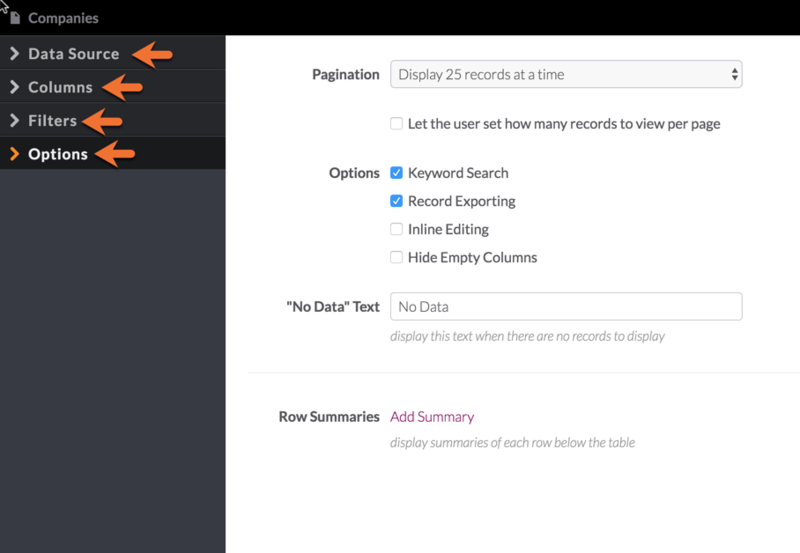 You manage your live application in the "Pages" tab of your builder. Knack automatically uses your database to give you the right view options based on the connections you’ve added. 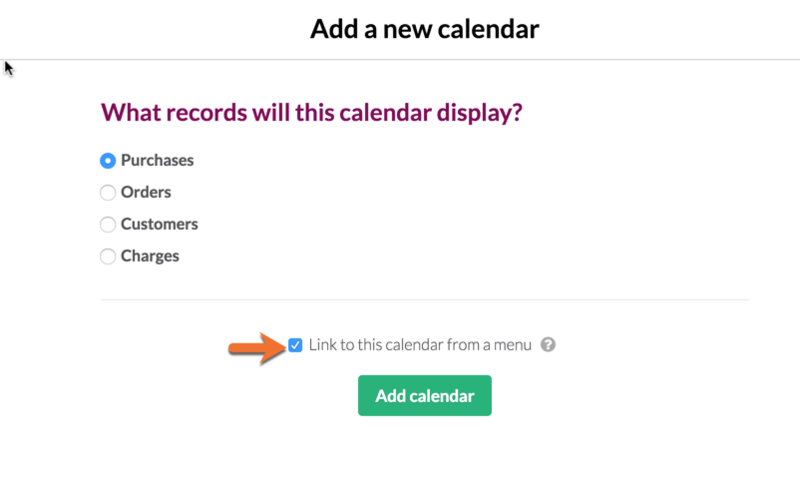 For example, on a customer page you’ll have options to add views to create a new order connected to the customer, or list the orders connected to the customer. This is because a connection was created to link customers with orders in the database. Each view comes loaded with options to configure it exactly as you need. 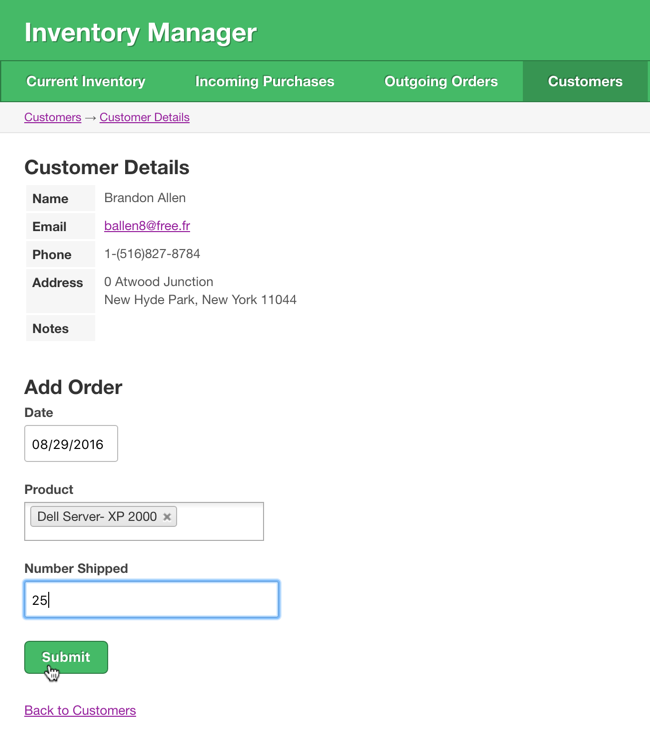 For example, you can configure an orders table to only show a few fields, to include a keyword search, to show running order totals at the bottom, and to highlight pending orders with a special icon. Click on the view to open it in edit mode and use the tabs on the left to configure different options. Much like a website where the pages are linked together, you can add links and menus to your live application to navigate through multiple pages. Up next, learn how to View and Share Your App.